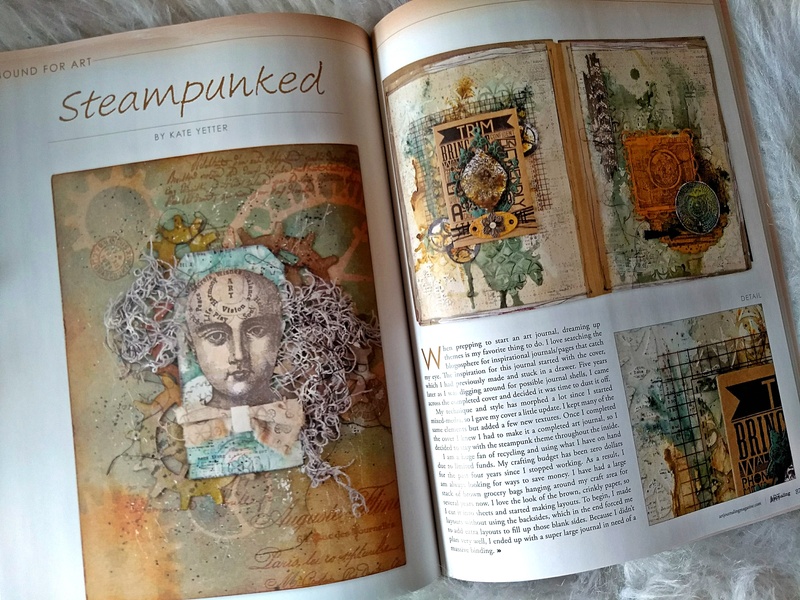 The Spring edition of Art Journaling has Published my Steampunked Art Journal. I wrote a little tutorial on how I made the binding since the feature is all about bound art journals. We have a busy weekend ahead as my oldest is entering his first science fair. Maybe I will share a few pictures next week. Life just won’t slow down. And I am a little disappointed not to be sleeping in on my Saturday morning but it should be a great family day. If you are interested in purchasing a copy of this magazine you can find it HERE. Have a crafty and restful weekend! Fabulous art work and congratulations!!! Congratulations, Kate. 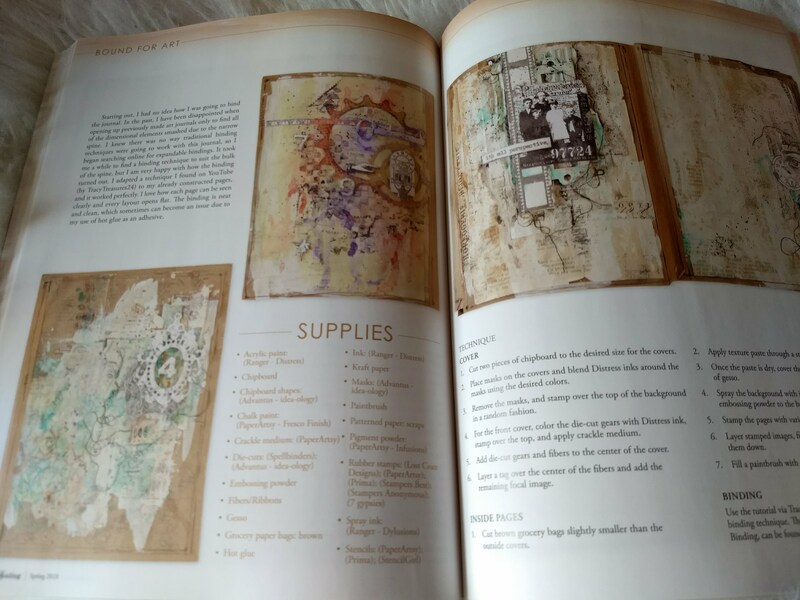 I have always enjoyed seeing the pages of your steampunk journal, and you deserve all the credit you got. It shows how very, very good your work is! Congratulations, Kate!! 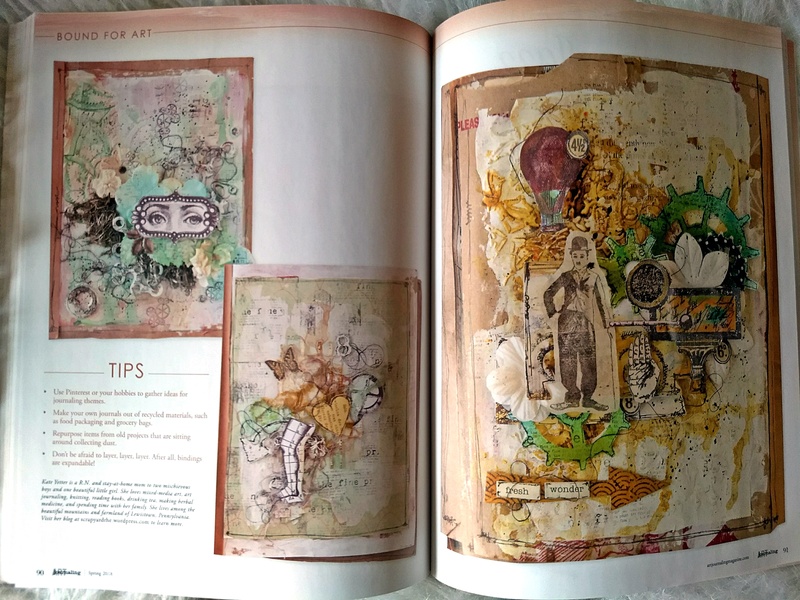 I love your art journaling! How exciting! It looks like a great article and a beautiful journal! I’m excited to pick it up and read it! Congrats Kate. Glad to hear even more people will be able to see your amazing journal pages. HUGE congratulations and so very well deserved dear Kate! 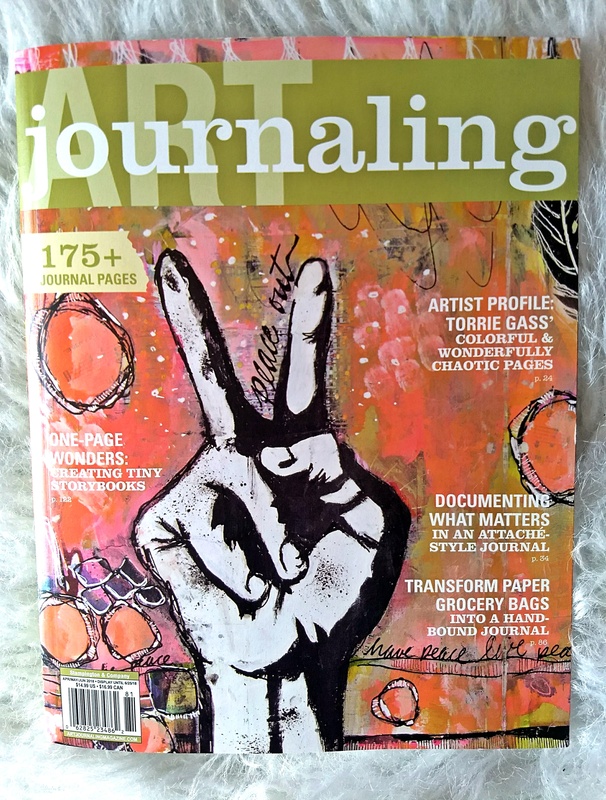 Your journals could be a whole magazine subscription of their own! Well done you!